Introducing ROI Series. In these series, we will discuss Reflections. Opinions. Insights of all things marketing and business. We hope you find these reads helpful in your daily work-life balance. How often do you scroll through your social media followers, comparing this number to the number of people who follow you? Or worse, comparing your number to the followers of your peers / colleagues / friends / family? It’s so easy to get caught up in these numbers, but we are here to tell you (and at the same time hopefully relieve some social media angst) that those are not the numbers to be watching. Do you get sucked into following any and everyone who follows you, as a thank-you gesture or an act of social media goodwill? It’s not necessary. To get results via social media, it is not always about quantity, but quality and consistency of your message that will help propel your message / goal / business forward. Yes, there are many Instagram accounts that have tremendous followings (3,000+ followers), “Master Accounts” which have more than 100,000 followers, and a ton of other accounts that have anywhere from 5 to 500 followers. While exposure is great, it’s the quality of your followers that really matters. Are most of your followers friends, family, colleagues, clients, friends, and acquaintances? If your answer is mostly yes, then you are already ahead of the game. These people already know, like and trust you, and want to see and engage with your posts. Sure, it’d be great to have 10,000 followers, but how many of these people really engage with your posts and generate leads? Many clients who beef up their social media strategy or hire a company to take over their social media have high expectations of growing their followers immediately. While this is a worthy goal, a great social media manager will help you develop your message, style, and frequency of posts that will obtain the highest quality followers versus the highest quantity — and this does not happen overnight. With the following suggestions, you can release the pressure valve on your frantic social media strategy to rapidly grow your follower base and instead focus your energy on creating strong, relevant posts. And then have fun watching your fans grow, organically. These days, as you well know, everyone is bombarded with content 24/7, including, photos, vidoes, text, advertising, and more. Our suggestion: develop your message and stay on track. The more clear you are about what you’re trying to convey to your audience, the better your message will be received. Variety is important so that your posts don’t get boring, however, you can create variations in your content but still stay on track with your main message. Having a well-recognized message helps cement your mission into your followers’ brains — they don’t have to work overtime to understand your posts. They will appreciate this without even knowing they do — and they’ll want more! We can’t stress enough that gaining traction and exposure through social media is not about posting 20 times a day. Rather, focus on posting relevant, compelling and on-brand content, on a consistent basis. This may mean posting once a day, or once a week. Your posts should all look relatively the same, meaning have the same filter, or use the same photo template that is in accordance with your brand. Again, your followers may not understand why they like seeing your posts, but that doesn’t matter. What matters is that they see them and engage. So remember, don’t get overwhelmed thinking you must post 10 perfectly witty posts a day. Contrary to popular social media belief, less can be more. Pick a posting schedule and stick to it; you can always adjust later. To be a successful social media marketer, and to create strong social content, focus on creating quality messages that align with your brand and voice. To optimize engagement on your social platforms, understand your followers. 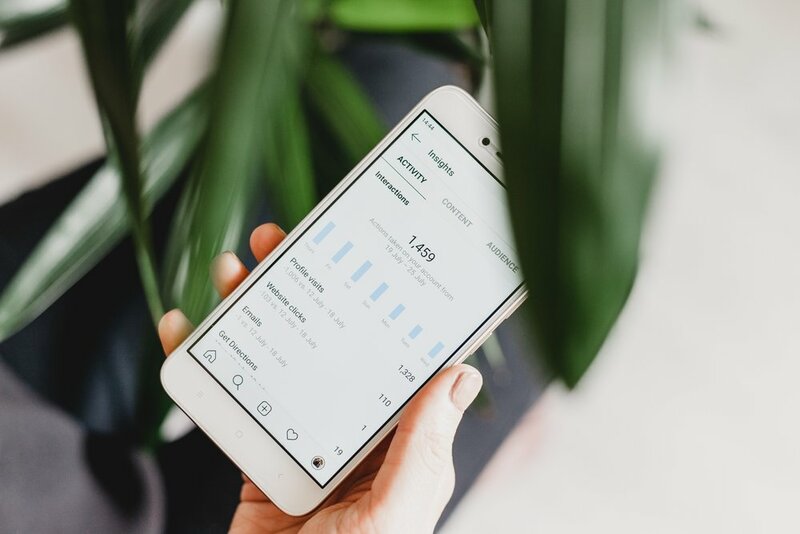 By using simple analytics tools like the free Instagram Business account, you will receive data and stats on your weekly impressions, posts with the most engagement and statistics about your followers. So, instead of playing the comparing game and hoping for any and all followers, focus on growing your core audience. Learning what your followers like and dislike and when they are viewing your content allows you to tailor your message (while staying on-brand), and you will be able to post more efficiently and effectively. Engage with others: Who’s day can you make by engaging with a positive comment on their post? Think outside the box: If social media didn’t exist, how would you engage your target audience?